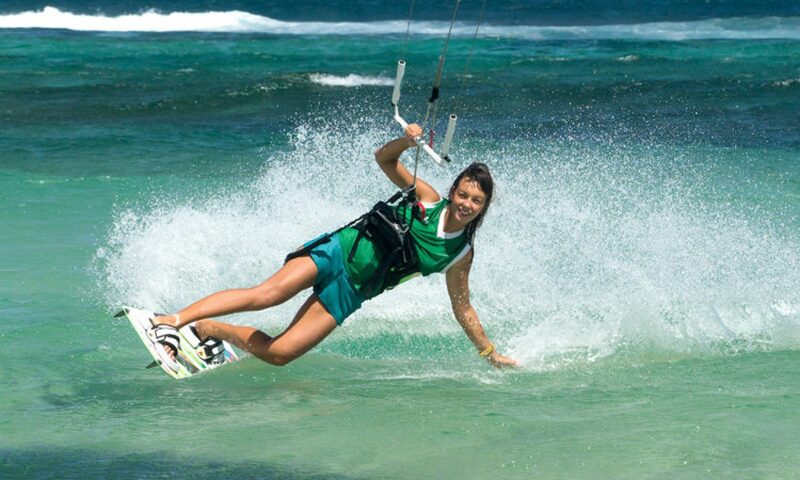 Are you coming to Sardinia for your next Holidays and are you looking for something new and exciting like Kitesurfing? Are you travelling to spend your vacation in Sardinia on a Kitesurf Paradise focusing on learning or improving kitesurfing while taking a break from the urban environment? Or are you interested to learn to kitesurf while visiting different beaches and enjoying the Cagliari’s typical nightlife? Then here you could find what you are looking for, we have the solution for your adrenaline holidays needs! 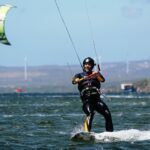 We offer kitesurfing services and many other activities to enjoy the day such as windsurf, surf, Stand Up Paddle (SUP), wakeboard, bike, boat tours, beach volley and more. 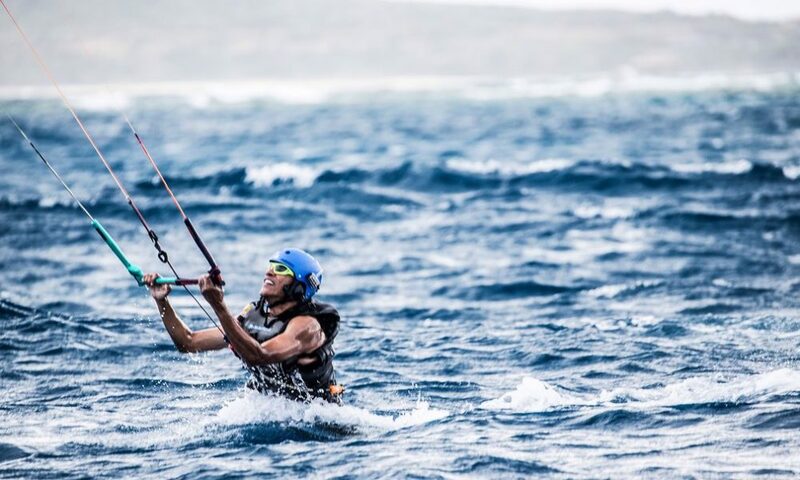 So, if you are travelling alone, in couple, with family or a group of friends, all of you have always something to do in case of no wind or while somebody are taking Kitesurfing Lessons. In our bases of Cagliari and in Punta Trettu we offer packages that include Sardinia Kitesurfing Lessons with accommodation plus all the related services and several activities as the ones previously mentioned. If you you exclusively interested on kitesurf or wind surf courses or other activities, we have different solutions based on your needs and time as different kite courses and windsurf courses for beginners. 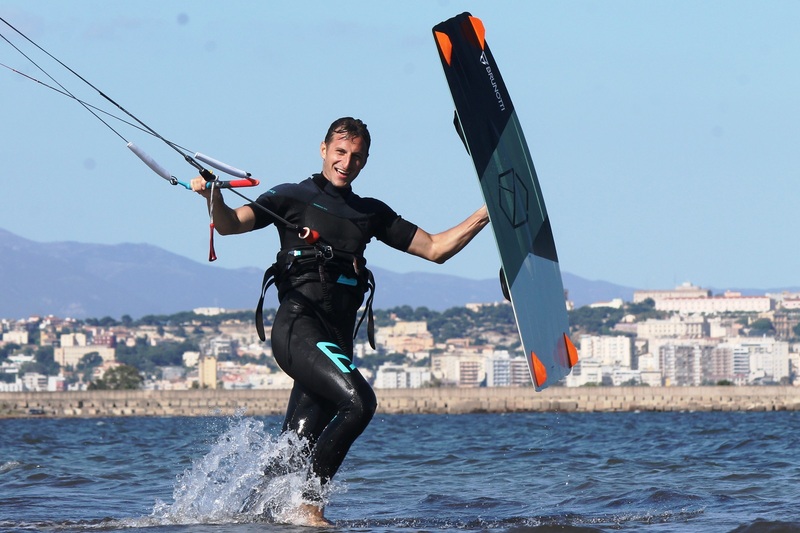 Are you already able to ride properly and want to enjoy the Best Kite Spots of Sardinia? We have different rental packages for you. 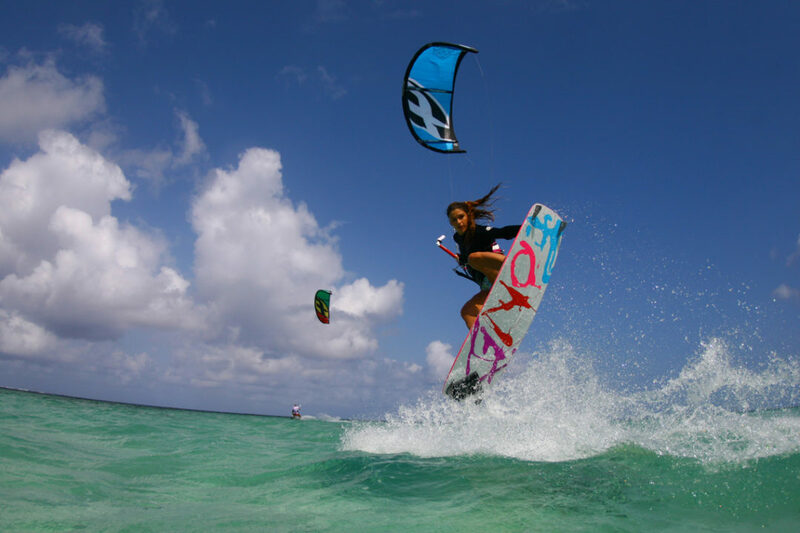 We rent from kite to full kitesurf equipment, surf board. Kite Sardinia, Kitesurf Sardinia, Kitesurfing Sardinia: all synonyms of incredible emotions during your holidays in Sardinia! About KiteGeneration Kitesurf Center in Sardinia. Strengths of Kitesurfing Lessons and Courses by KiteGeneration. Professional Teaching Methodologies: IKO, FIV, VDWS. Where the Kite Lessons and Courses take place. Why choose Sardinia, Cagliari and KiteGeneration. KiteGeneration is a Kitesurf Center based both in Cagliari, and Punta Trettu in Sardinia. KiteGeneration has been founded with the aim to promote Kitesurfing and other sea activities e.g., Windsurf, SUP, Surf, Snorkeling. Kitesurfing Lessons and Courses in several Kitesurf Spots of Sardinia. SUP Tours , SUP and Surf Rental and Boat & Snorkeling Tours. (in partnership with Visit Tours Sardinia). Advanced / Intermediate Kite Courses. HydroFoil – Kite Foil Lessons. For more information on Kite Lessons and Courses, please have a look at the page Kitesurfing Lessons in Sardinia. Kitesurfing Lessons and Courses by KiteGeneration are managed and structured in order the student can easily learn to kitesurf safely and having fun. You will Learn to Kitesurf in Sardinia and / or will improve in kitesurfing in the easiest, fastest and safest way! In order to provide an excellent quality of Kite Lessons, KiteGeneration Kiteschool in Sardinia uses the most modern kite equipment and the best kite teaching techniques and methodologies. All kite instructors of KiteGeneration are Certified Instructors with many years experience able to teach in all kite spots of Sardinia. 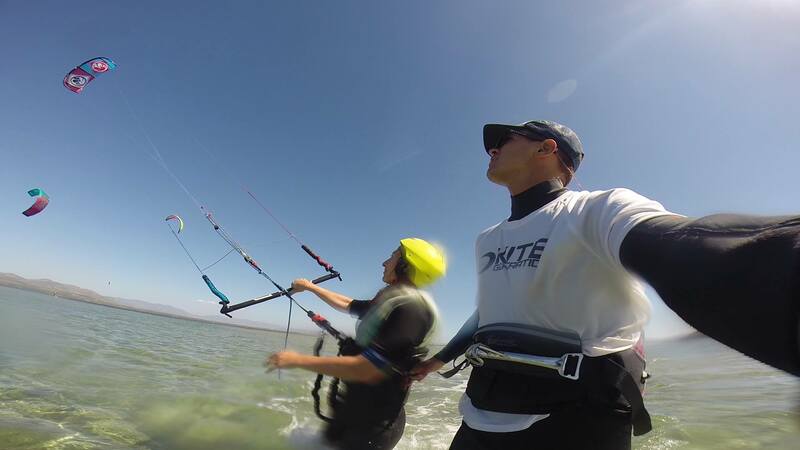 In the Kitesurfing Lessons, the principles and methodologies of the most important Kite organizations (IKO, FIV and VDWS) are followed and used. KiteGeneration uses a modern kite tool during the Kitesurfing Lessons: the Two Way Radio Helmets. This tool is a real communication system which allows the instructor to train and provide feedback instantly to the student and vice versa. This communication system enables the coach to communicate directly with the student that will instantly receive the instructor’s feedback and could immediately implement his advices. Benefits of this communication system is exceptional! KiteGeneration Kiteschool has been the first kiteschool in Italy and one of the first in the world to use this tool, the same Radio Helmet System used by Obama during its kite lessons! KiteGeneration proposes only semi-private (2-3 students and 1 instructor / 1 kite) or private (1 student and 1 instructor / 1 kite) kite lessons and courses. KiteGeneration does not propose group lessons and courses (4 or more students). Thanks to private or semi-private kite lessons and courses, the kite instructor is 100% focused on the student. In this way, the student can learn and improve as quickly and simply as possible. KiteGeneration kite school recommends, when possible, the semi-private kite lessons and courses (2 students – 1 instructor / 1 kite). The semi-private kite lessons, which guarantees an excellent value for money, are divided into sessions of 5/10/15 min each: when one of the two students is “training”, the other one should observe the exercises that the other classmate is doing. In this way, he can easily realize what are the mistakes to avoid and how to carry out the exercise in the proper way. With the Photo and Go Pro Services, you can take the best shoots and video of your kite performances and moments! You could rent a Go-Pro or borrow it if you book a 12-hours kite course or above. Alternatively you can have a Private Photo Shooting with a professional Camera. Within your session, the photographer only focuses on you and your tricks. KiteGeneration Kiteschool is based in Cagliari, Sardinia. Depending on wind conditions, for teaching kitesurf we move to different Kite Spots of Sardinia. This is because even if Sardinia is a very windy island (for more info on weather conditions in Sardinia have a look at this article), it is impossible guarantee the availability of wind always in the same kite spot. In fact, we can almost always reach a windy kite spot with the proper conditions to have Kitesurfing Lessons! Obviously we cannot be sure there will be wind all the days, but moving in different spots we could offer kite lessons almost everyday. Kite classes usually start after 12 pm, with some cases of early morning classes (starting at 9-10 am) or late afternoon (starting at 3-4 pm) when particular weather conditions or several other kite courses are present. Why choose Sardinia, Cagliari and KiteGeneration to Kitesurf Sardinia? Here below you can find some reasons why you you should come to Kitesurf Sardinia and why Learn to Kitesurf in Sardinia and Cagliari. Kite Sardinia, Kitesurf Sardinia, Kitesurfing Sardinia: all synonyms of incredible emotions during your holiday in Sardinia! 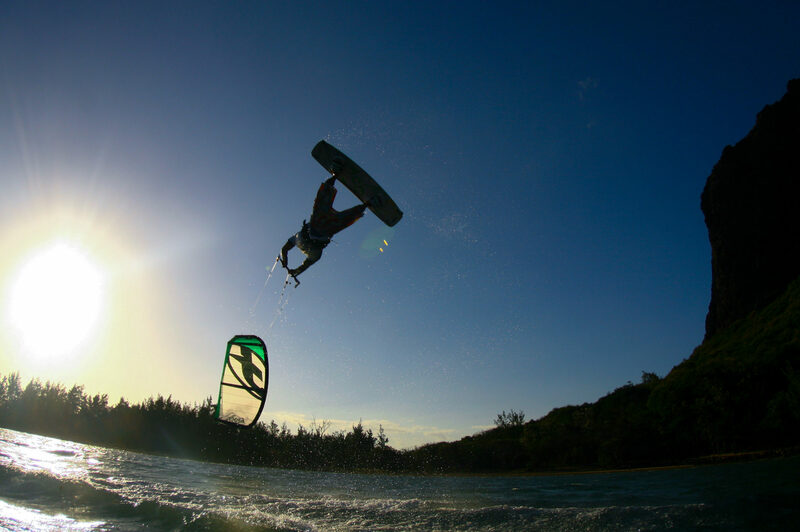 Value for Money: KiteGeneration guarantee unbeatable standards and prices for kitesurfing lessons and services. Students’ satisfaction is the top priority! Professional and experienced Kite Instructors. Great weather conditions for holidays and Kitesurf: Cagliari and Sardinia are famous for their statistics on wind, nice temperatures and fantastic beaches and sea. Great wind: Cagliari and Sardinia have great wind conditions for kitesurfing and other sailing spots. Just be aware that tha Luna Rossa Challenge has chosen Cagliari for training the next America’s Cup! Perfect position of Cagliari: Cagliari, close to Poetto, Giorgino and Petrol Beach, is located in central position in respect to the best Sardinia Kitesurfing Spots. You can easily reach the east coast (Villasimius, Costa Rei), the West Coast (Porto Botte , Punta Trettu, Sant’Antioco) and the South Coast (Pula, Chia) of Sardinia. History and Culture: Cagliari and Sardinia are places with a great culture and history. Ongoing suppo.rt: joining to KiteGeneration, you will get an ongoing support by KiteGeneration (e.g., support on the best kite equipments and the best kite spots). Combine kitesurfing, sport, culture and fun. 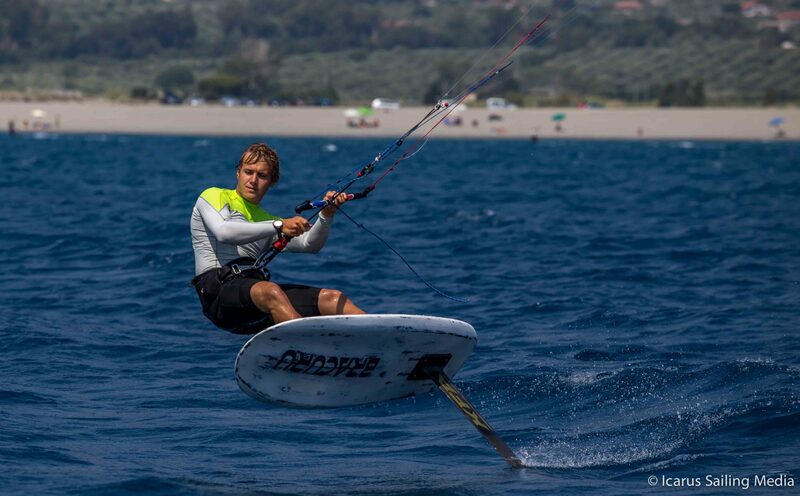 Have great holidays in Sardinia with KiteGeneration!